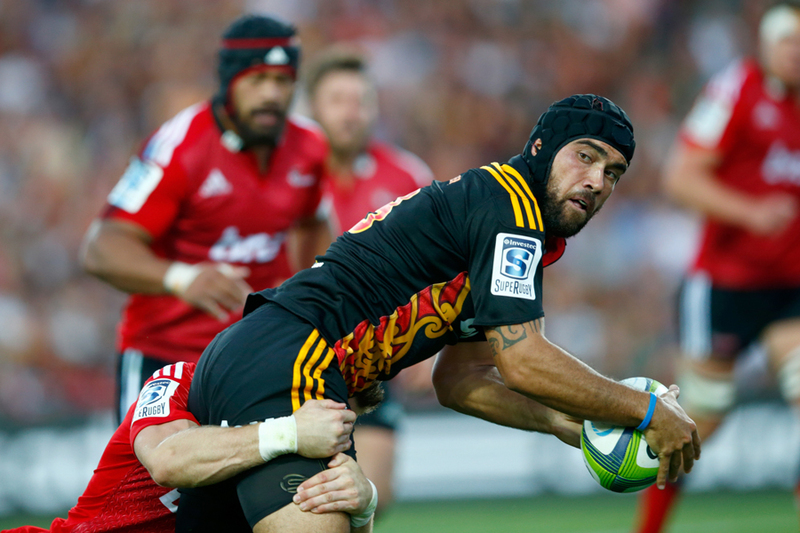 Chiefs centre Charlie Ngatai is captain and one of 21 Super Rugby players included in coach Colin Cooper's squad of 27 for fixtures against Fiji and the New Zealand Barbarians. Powerhouse Blues loose forward Akira Ioane, 20, was a standout figure for the New Zealand team who clinched the junior world championship in Italy this month. Outside back Rieko Ioane, 18, has emerged as an outstanding talent for the New Zealand sevens team in his first year out of school. Cooper has also named two exciting youngsters as his first five-eighth options - Chiefs playmaker Damian McKenzie and Hurricanes playmaker Otere Black, who was also a key performer for the New Zealand under-20 side. McKenzie and Black are among 10 players new to the Maori side, with nearly half of the squad returning from last year's unbeaten tour of Japan. Members of last year's squad not available because of injury include wingers James Lowe and Joe Webber, flankers Dan Pryor and Sean Polwart and tight forwards Tom Franklin and Mike Kainga. "This is a well-balanced side with some very experienced campaigners who have now played on several tours and know our systems well," Cooper said. "I'll be expecting them to lead by example and show the new boys the high standards we expect." They play Fiji in Suva on July 11 and the Barbarians in Auckland a week later. Cooper expects both games to be challenging. Fiji will use the July 11 clash in Suva as a key fixture in their World Cup preparations and the Barbarians game at Eden Park a week later could be seen as an All Blacks World Cup trial for fringe contenders. Backs: Matt Proctor, Marty McKenzie, Kurt Baker, Rieko Ioane, Codey Rei, Charlie Ngatai (capt), Jason Emery, Sean Wainui, Damian McKenzie, Otere Black, Brad Weber, Jamison Gibson-Park. Forwards: Akira Ioane, Mitchell Crosswell, Shane Christie, Heiden Bedwell-Curtis, Elliot Dixon, Blade Thomson, Hayden Triggs, Jacob Skeen, Josh Hohneck, Brendon Edmonds, Ben May, Chris Eves, Quentin MacDonald, Ash Dixon, Joe Royal.